Hofbrau restaurant was rebranded as a steakhouse and American grille. Maneuver Up created a logo and color scheme to accomplish this look and feel. 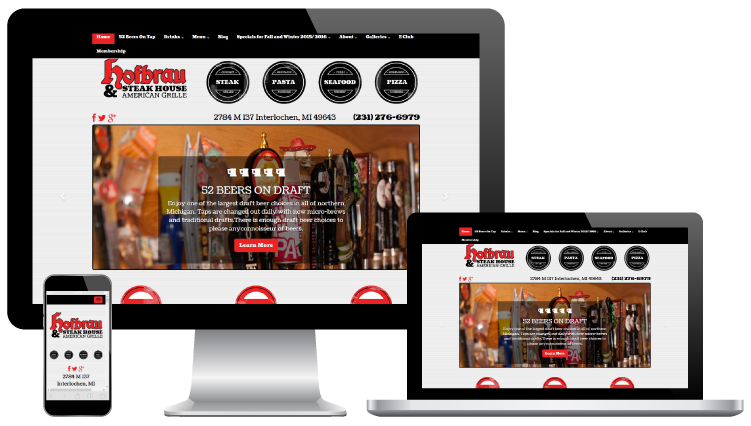 From there, a responsive website was created with the steakhouse feel. Custom photography was done to capture Hofbrau’s atmosphere, their wide variety of draft beers, and their great American cuisine. Content adjustments, edits, and HTML optimization for the search engines were done to help them rank better for their rebranded image as a steakhouse. The client has since seen an increase in patronage and growth from rebranding and building a high-quality website.